Why am I getting duplicate email notifications? How do I merge two duplicate records? Why am I receiving duplicate web leads? How do I locate all duplicates at once? How can I handle duplicates on a spreadsheet before importing? In some cases the lead provider is emailing the lead to the office and sending it to Blitz simultaneously. Blitz will give you an email notification of a new lead and so will the lead provider. Check the senders of the emails. Our notifications come from email addresses ending in @blitzleadmanager.com. You can contact your lead provider to alter your email notification settings. To ensure there is no duplicate you can use the lead quick search at the top left side of Blitz and search for the contact's name. If there is only one found then there is no duplicate. If there is a duplicate lead, you will receive a message within the Lead Log. Get to the lead log by clicking on a lead's name in Blitz. When you see the message “Found # potential duplicates,” click “View Potential Duplicates” prior to calling or emailing the lead. This should be the first thing that is checked before contact is made. The summary page will show all potential duplicates, allowing you to pinpoint the most likely duplicate. Most of the time you will only have one if you keep your database clean. 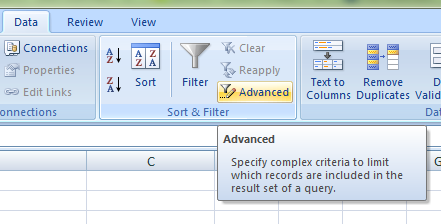 Click the check box next to the potential duplicate and select “Review & Merge” in the dark blue bar. If you have decided at this point that the lead is not a duplicate, click “Return to Lead Log” to go back. The two leads will be lined up, allowing users to choose which information to keep. The lead on the left you will keep, and the lead on the right will go to the recycle bin (to flip them, click the double arrow above the “Merge” button). Any information to keep can simply be copied and pasted over to the left lead. All notes, appointments, milestones, files, tags, and opportunities will be merged into the new lead. When completed, click the “Merge” button between the two leads. Export your leads by going to Leads > All Leads By Folder and selecting All Folders. 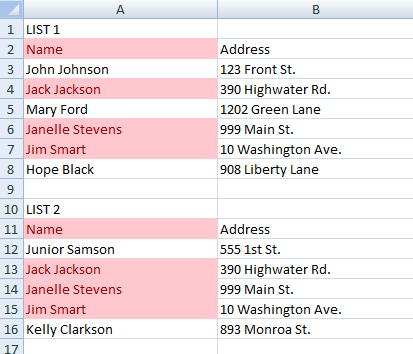 If you have a large database, you may need to export one campaign at a time, then combine them in Excel after. 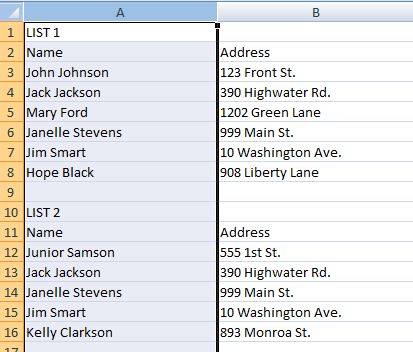 In Excel, highlight the column you would like to base the duplicate check on. In this example, we are searching based on name, but you could also search by phone number, email, etc. 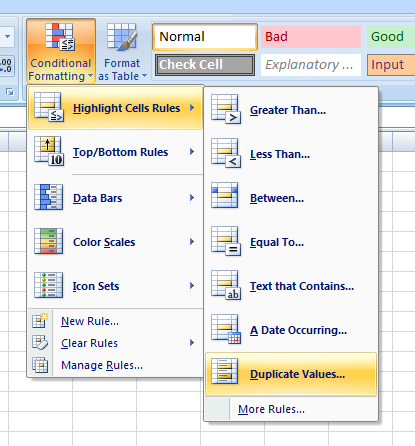 Choose to format cells that contain duplicate values with (any style you choose). Click OK. 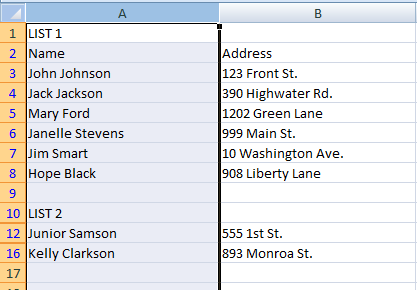 Highlight the column you would like to base the duplicate check on. In this example, we are searching based on name, but you could also search by phone number, email, etc. 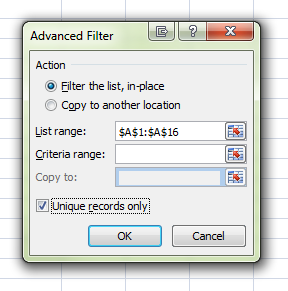 Choose “Filter the list, in-place” for the action, and check “Unique records only.” Click OK. Blitz has the ability to check for duplicate leads when importing lists based off the leads phone number and email address. This duplicate check will check the spreadsheet itself and the Blitz account for duplicates. Find the File and select Open. This will close window and bring you back to Blitz. 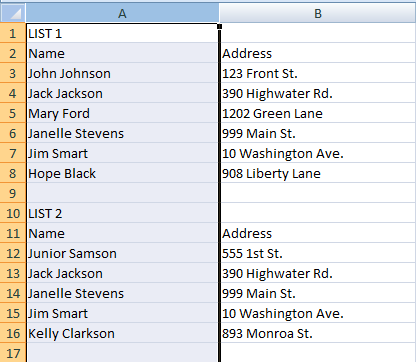 Click and drag the column headers on the left to their corresponding fields. If there are duplicate leads you will receive an error message that reads: “An error occurred importing your file. You must modify the mappings or edit the file to fix the errors and upload it again. 1. There was an error reading the data on line “X”.This does not mean the list has to be re-uploaded. -Don’t import leads will skip all the ones that are duplicates in Blitz already. -Import leads with duplicate phone numbers will ignore duplicates and import the entire list.If you have duplicate email address you will have similar dialog in the drop down options. 4. Once you have selected one of these options, click “Import” again. -If there are no further data errors, leads will be uploaded into specified campaign.